Origins is dedicated to providing exquisite environments in which residents can experience the healing process of recovery. In keeping with this principle, the company has painstakingly selected only the finest properties in premier locations around the United States, including Coastal Texas. Surrounded by the natural beauty of the ocean, Origins SPI offers a tropical and tranquil environment for residents to experience the vital process of recovery. 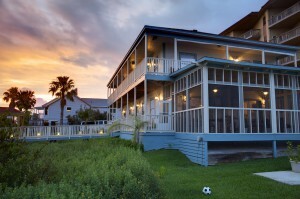 Located minutes from white-sand beaches, Origins SPI is set in a gorgeous former luxury resort. Beachside meditations, groups and occasional play in the surf enrich the residents’ connection with the healing forces of nature. With Southwest villa-style architecture and spacious rooms that surround a tropical courtyard and wading pool, a sense of community abounds. Fountains and beautiful foliage envelop the property and the courtyard setting ensures a calm, private and secure place for residents to begin their journey. Each room has a distinctive Southwestern design with intricate attention paid to detail for unrivaled men’s recovery. Dual Diagnosis Addiction Treatment – By Women, Exclusively for Women. 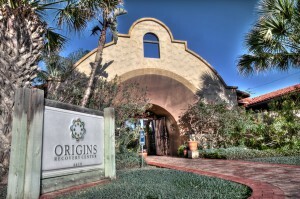 Origins’ boutique program designed exclusively for women combines extraordinary bayside living accommodations with sophisticated clinical and medical care at Origins’ nearby licensed outpatient program. Hannah’s House is completely separate from Origins’ men’s treatment campus and maintains an entirely female staff of addiction professionals for unmatched women’s recovery.